Our school, together with Paper Plus Morrinsville, can provide our students with quality stationery at very competitive prices. At the beginning of the year, Paper Plus have packs made up with items required for the school year that are personalised to our school. 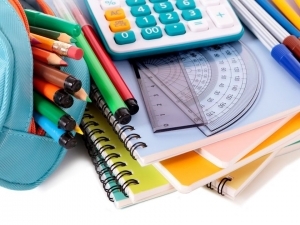 We send out lists at the end of the year, and you are welcome to purchase items individually, however Paper Plus ensure we will get the best deal with ‘Back to School’ pricing which starts around mid January. All items listed in the packs are required unless stated otherwise. This is an excellent arrangement and makes it easier for you as parents and caregivers and is a wonderful support to the school.